People think I’m crazy because I talk to my dogs. What am I suppose to do? Just ignore them when they ask me a question? 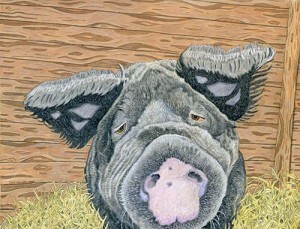 What a fun day at Triangle Vegfest meeting the dads, Steve and Derrick, who belong to Esther the Wonder Pig. Thanks so much to our friend Julie Palm for commissioning Todd to paint this portrait of their beloved Bear, who lives happily with Esther and the dads at Happily Ever Esther Farm Sanctuary We love seeing the smiles when people receive a painting by Todd. Meet Randi. 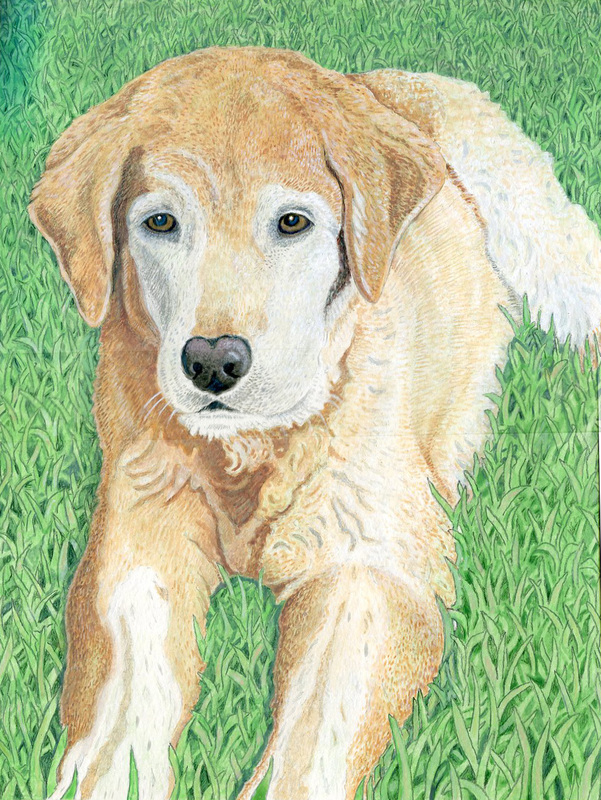 Todd’s latest portrait is a lovely memorial portrait of this gorgeous Maryland golden retriever. “Todd, thank you so much for capturing the beauty of Randi in your art work. She was as beautiful in her personality as she was in her looks! Paddy & I appreciate your talent and I can’t wait to get her picture framed and up for everyone to see!”— Cheryl P., Westminster, MD. Looking for the perfect holiday gift? 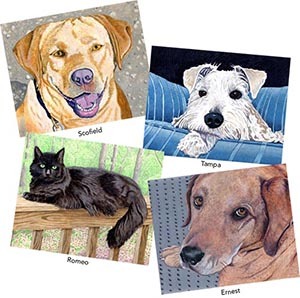 A custom pet portrait is the most thoughtful, personal, and beautiful present. Now taking orders for holiday delivery. It’s easy to get started, contact us todd@jimmydog.com, 336-201-7475. 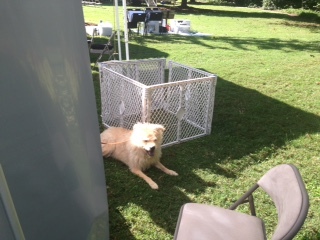 Todd and Jimmydog are proud to support Unchain Winston, a local non-profit building free fences for dogs chained 24/7. We’re donating an 8″x10″ custom portrait to help raise money for fences. This is your chance to get your own custom portrait and support a great cause! Click the event link and place your bid in the comments. Auction ends tonight at 11:59pm. It was a picture perfect fall day in NC and we had a great time at Art in the Arboretum sponsored by Greensboro Beautiful, Inc.. As usual Chief Canine Officer Freddie kept things in order at our booth and it was lots of fun meeting so many portrait ready pups and their art loving owners. We’re already looking forward to next year. Congratulations to E.B. 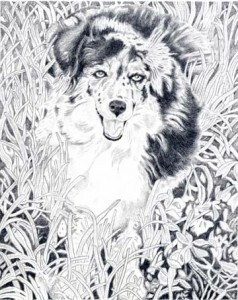 of Pleasontville, NY, the winner of our 8″x10″ pet portrait giveaway.